Andrew Ornoch is a Forward/Midfielder, who began playing soccer for the renowned North Scarborough Soccer Club. Ornoch earned an athletic scholarship to the University of Detroit Mercy, where he was named Horizon League player of the year and Offensive Player of year in 2005, on the way to leading the team to its first ever Horizon League Championship. 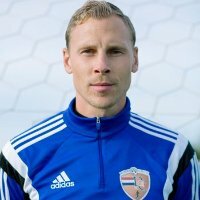 He has played professionally in Denmark, Hungary and Holland. Now, Ornoch is the Co-Founder/Program Director & Coach at Dutch Connections FC Inc.
Julian De Guzman was a professional Midfielder born and raised in Scarborough, Ontario. While playing for NSSC, De Guzman was scouted by representatives of Olympique Marseille. De Guzman played with Marseille's reserve side until becoming a first-time regular with FC Saarbrücken in the German Second Bundesliga from 2001-2002. 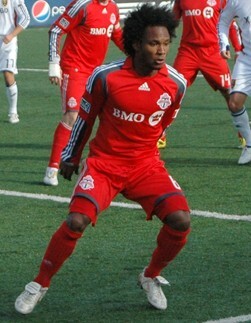 De Guzman became the third Canadian to play in the German First Bundesliga, where he played three seasons before joining Deportivo La Coruna. Now, De Guzman is the Assistant Coach for Ottawa Fury. Jonathan De Guzman started his youth career at the North Scarborough Soccer Club. To improve his skills, the youngster trained six times a week and was active in three different teams- including the team of his older brother, Julian. At the age of 12, he joined the Feyenoord youth academy in the Netherlands. Jonathan De Guzman is a Dutch professional soccer player, who now plays as an attacking midfielder for the Italian club Chievo- on loan from Napoli and the Netherland's National Team. 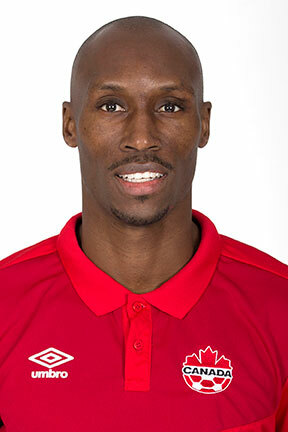 Atiba Hutchinson started his youth career at the North Scarborough Soccer Club. In January 2003, Hutchinson signed with Osters IF- newly promoted to the Swedish Allsvenskan, and scored six times during that season. The club was relegated from the league, and Hutchinson was granted a profitable transfer with Helsingborgs IF, in 2004. In 2010, Hutchinson was awarded Player Of The Year for his last season with Copenhagen. This was the first time a Canadian had won this award in the Danish League. 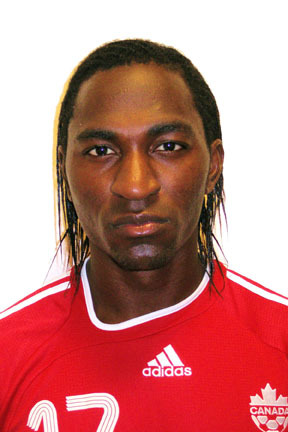 Now, Hutchinson is playing for Besiktas, and the Canadian National Team, as a midfielder. David Simpson Knight began his youth career with North Scarborough Soccer Club, scoring 14 goals in 5 matches during the Welsh International Super Cup, and was named the Golden Boot Winner. The success of the tournament handed Simpson a tryout with Southampton of the Premiere League. He continued to play with NSSC until 17, At 20 years old, Simpson signed a lengthy contract with Manchester United FC farm team, and Belgium first division side Royal Antwerp FC. In 2005, Simpson signed with the Toronto Linx in the USL First Division. After impressing with the Lynx, he left for Europe again and signed with Lompard-Papa TFC. Simpson was later signed to the Czech Giants AC Sparta Prague in the summer of '06- where he became the first Canadian born player signed to that league.